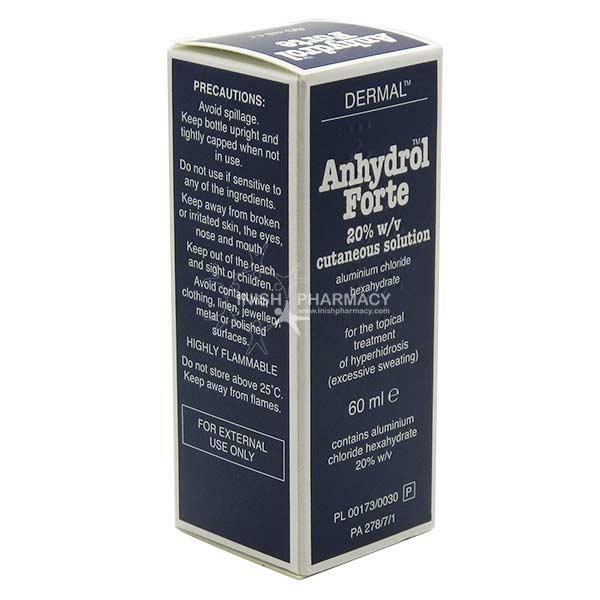 Anhydrol Forte protects against excessive perspiration/sweating. The active ingredient aluminium chloride hexahydrate reduces sweating by blocking sweat ducts in the skin and provides a deodorant by killing the bacteria which causes body odour. Please consult your doctor before using this product if you are pregnant or breastfeeding. Irritation and redness at the site of application.